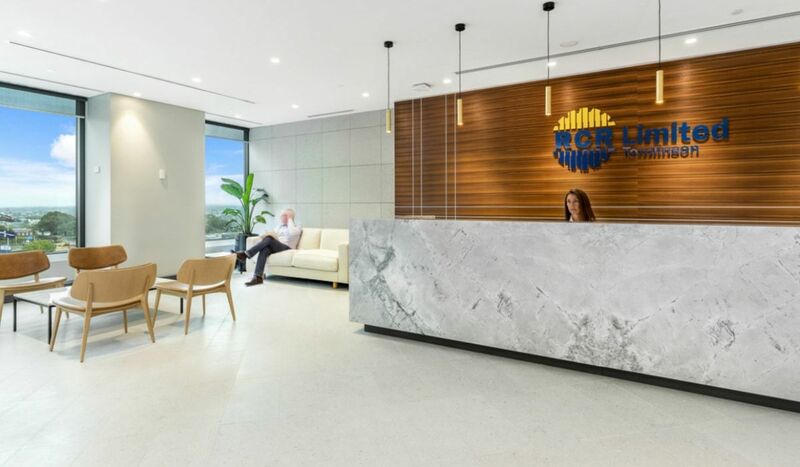 As a workplace from which one of Australia’s most tenured firms looked to build on an impressive legacy, RCR Tomlinson required a space that accommodated and promoted versatility, line of sight and a timeless look and feel. In creating a highly functional, durable environment, the way was cleared to address opening impressions and brand values. 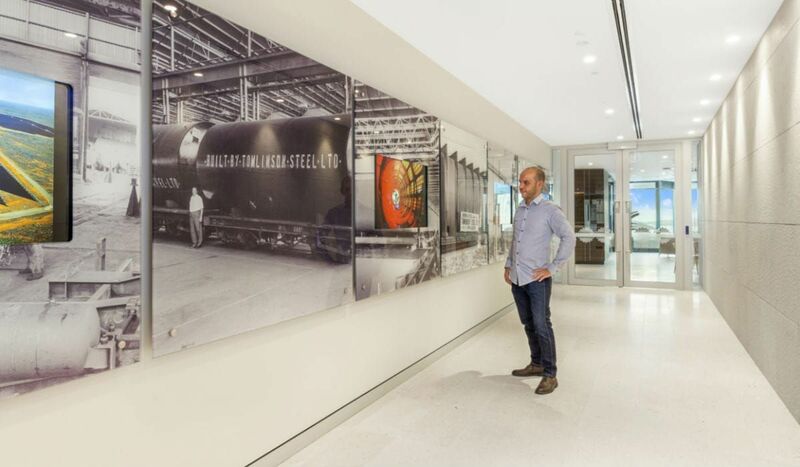 The classically-styled reception area introduces stakeholders to the Company via an architecturally striking history wall. 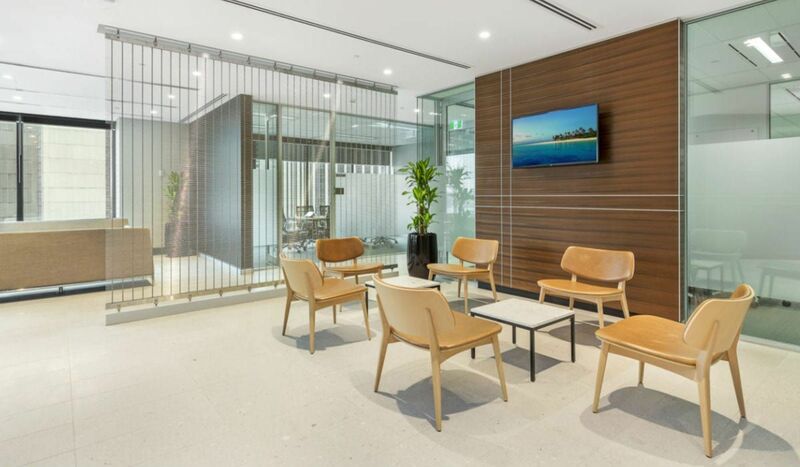 Walking along the wall reveals both achievements and milestones while clearly pointing the way to the reception desk in front of the boardroom and waiting area. All public-facing areas bear elements of the company image, enhancing impact and cementing corporate identity. Timber veneer is both a striking look and communicates enduring quality. 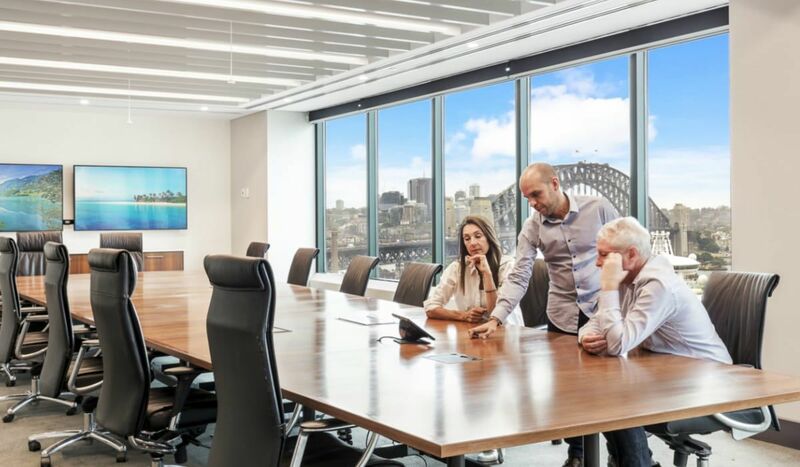 Executive offices featured this finish, enhancing the continuing theme of historical reliability and strength. Functional areas emphasise durability and longevity with hardwearing finished featuring strongly throughout. Technology, timeless excellence and cost control all played a vital part in the success of this iconic fit out.